More than ₤6,970 was raised in total by youngsters across Merseyside, including toddlers from Liverpool raising:- ₤4,203, from the Wirral raising:- ₤1,439 and from Formby raising:- ₤311. Barnardo's is now encouraging nurseries, Schools and families across Merseyside to put their best foot forward and sign up to the 2018 Toddle events, to help the charity support more children and families in the Region. 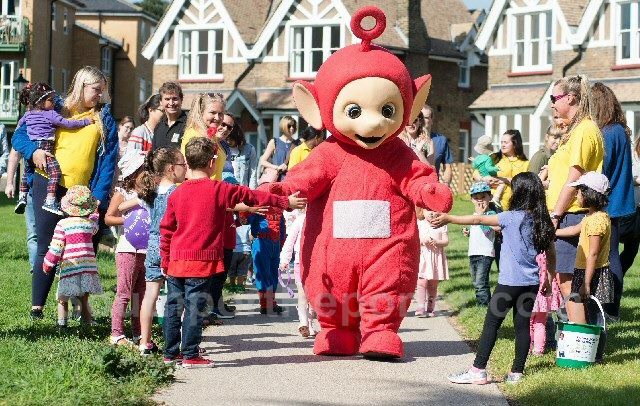 The 2018 Big Toddle week runs from 18 June to 24 June 2018, and for the 2nd year is being run in partnership with the much loved CBeebies TV show, Teletubbies. This year's theme is 'nature,' with lots of opportunities for creative dressing up as:- animals, insects, flowers or even jungle creatures. 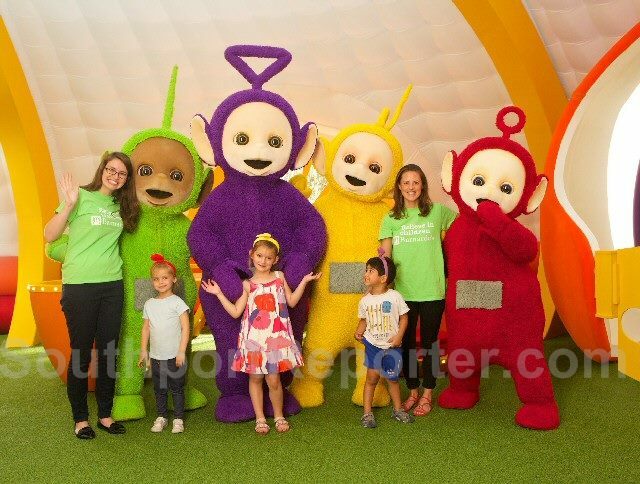 Barnardo's Regional Director, Lynn Perry said:- "The Big Toddle is a great opportunity for under 5's to have fun with their friends and families and raise money to help disadvantaged children. The nature theme means youngsters and their families can be really imaginative with fancy dress ideas and Barnardo's has some great resources to help everyone taking part and to enjoy the great outdoors. We would like to say a huge thank you to everyone who was involved in last year's Big Toddle. We hope even more communities, nurseries and families will get involved with our 2018 events, to help us continue funding our vital work with vulnerable children, young people, parents and carers in the Region." Since 1997, the Big Toddle has raised almost ₤15million. In 2017, thousands of under 5s across the UK toddled their way towards raising more than ₤265,350 to help Barnardo's transform the lives of vulnerable youngsters. Parents, carers and playgroups are being encouraged to organise their own Toddle events, which could include holding a community:- 'Big Toddle,' 1 for close families and friends or 1 organised by a local Nursery or Primary School. Those who register will receive a:- 'Big Toddle Pack' containing information and fundraising ideas, as well as access to exclusive nature themed early years learning resources. Go to:- BigToddle.Co.UK or call:- 0800 008 7005 to register or find out more. PULP Idol is Liverpool's unique, successful, novel writing competition that focuses on supporting new original voices, getting them heard, and bridging the gap between the national publishing industry and Merseyside. Mike Morris, Co-Director of Writing on the Wall said:- "We provide a platform for up and coming writers, helping with exposure to new audiences and providing contacts with key publishers and agents. 'Pulp Idol has had many successes, but few so quickly as the outcome of the 2017 competition when finalist Ariel Kahn's debut novel was snapped up almost immediately by North East based award winning independent publisher Bluemoose Books, who will publish Ariel's debut novel Raising Sparks, in July 2018." 2018 Finalist Ariel Kahn stresses the importance of this competition:- "I thought I had no chance. Finding an organisation like this that really cares about writing, with the competition and the fact they publish people's work is amazing, they match people up with editors. Just participating in the heats, or submitting a video, made me take my writing more seriously. Here's an opportunity to be part of a community, it's a competition but it's also a place where writers are supporting and rooting for one another." For writers to be in with a chance of getting their 1st chapter published they need to enter this year's Pulp Idol. The group told us that:- "You can submit your 1st chapter via this link. Also we're now taking submissions for our online heat via YouTube. Upload to our YouTube channel, plus you can also send them via email to:- PulpIdol@WOWFest.UK providing us with your contact details and the name of your video. Not only that you can also do it via post, sending your full contact information and your 1st chapter to:- Writing on the Wall, Toxteth Library, Windsor St, Liverpool, L8 1XF. Closing date for applications is on Monday, 2 April 2018, at 8pm. All entrants will take part in the heats commencing the week of 21 April to 27 April 2018. Details of heats will be allocated once all submissions are received. To find out more information visit our website." If you do not already know... 'The Pulp Idol Competition' runs as part of the annual:- 'Writing on the Wall' literary festival, based in Liverpool. This year:- 'WoWFest18 - Crossing Borders,' focuses on breaking down cultural, social and political barriers to explore messages of togetherness, hope and inclusivity. Our guest speakers include:- Lily Allen, Lowkey, Benjamin Zephaniah and Robert Webb with many more to be announced. The speakers will discuss themes including politics, activism, race, gender, sexuality and Europe in a month long series of exciting events. For more information visit about the festival, visit:- WOWFest.UK.